Thanks to the important agreement signed with UNA Hotels & Resorts, the WTC Milano associates and the WTCA-World Trade Centers Association members will benefit from special rates for hotel rooms in Italy. 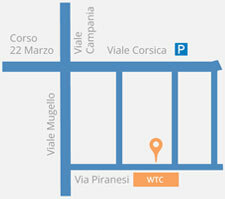 Ask for the special “WTC Milan” discount entrance ticket. 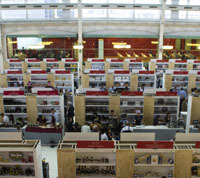 Write to info@wtcitaly.com Saturday 5, Sunday 6, Monday 7 March the event that is set to become the key appointment of the year dedicated to Italian and International artisanal wines is back. Together with “Vini di Vignaioli” Fornovo and AIS Lombardia, more than 100 producers coming from all over Italy and beyond present their wines for tasting. 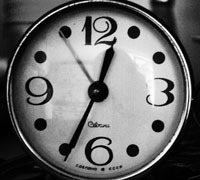 Time management workshop. Tools and techniques that help you more successfully manage your time and achieve more effective, efficient results. The World Trade Center Milan signed an agreement with M.G.M. 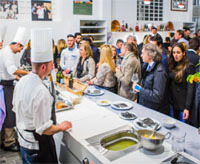 Alimentari, a company leader in the sale of high-quality food products. The company has always offered selected and refined food products made by experts in the sector, and aimed at the most demanding clientele. 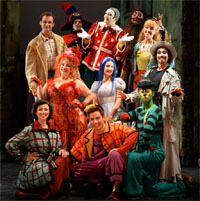 Pinocchio, a 100% Italian musical produced by Compagnia della Rancia. Discover WTC special offer! On the occasion of Expo 2015 WTC Milano is glad to promote PINOCCHIO The Italian Musical. Discover special fares for WTC newsletter subscribers, up to 40% discount! 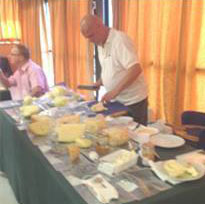 Rome, July 2015 - On July 15th and 16th July WTC Milan representatives Mrs. Barbara Masella and Mr. Carlo Casti took part in the event Convivium in Rome with some food & wine producers. Choose the WTC Milan complex for your events: corporate events, conferences, congresses, presentations, meetings, gala dinners, workshops, trade fairs and exhibitions. WTC Milan and Superstudio Group present the information day "SMEs: United Arab Emirates, how and why"
WTC Milan and EmmePlus present U.S. Market Seminar: Conducting Business in the U.S.